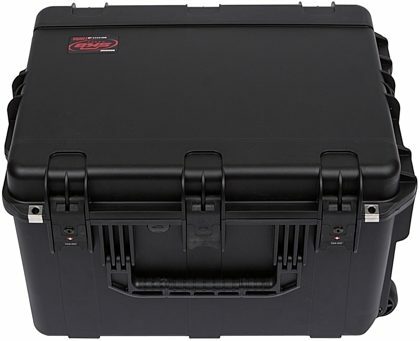 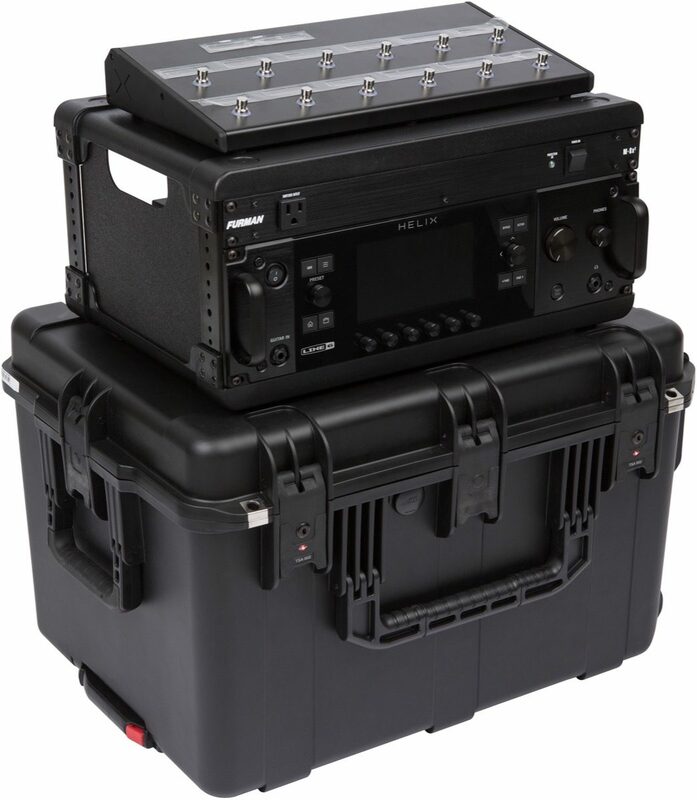 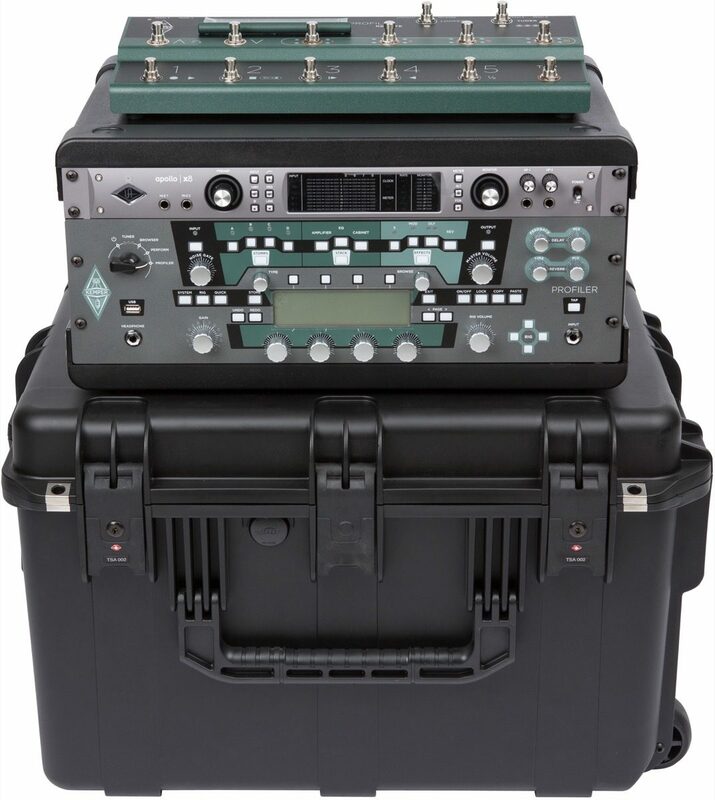 The SKB iSeries 3i-231714GFX 4U Guitar FX Fly Rack allows for transport of both guitar processor rack equipment and a foot controller all in the same case. 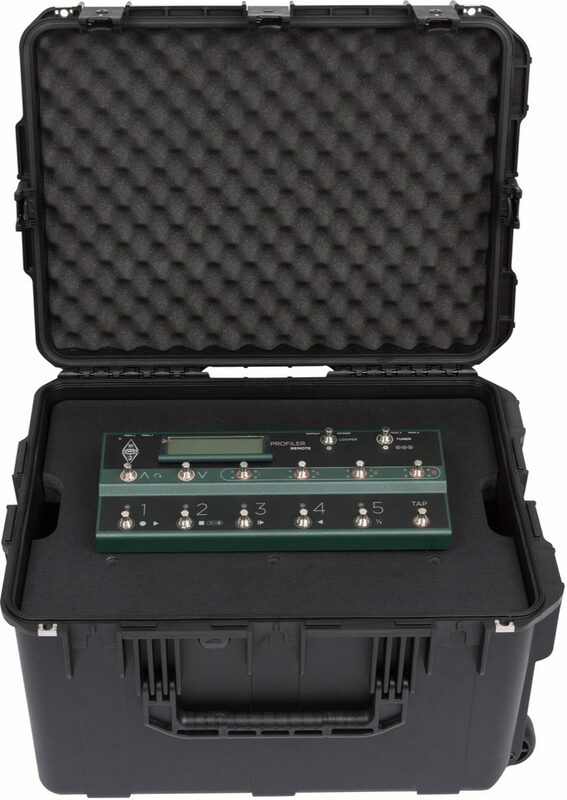 This case was designed specifically for the Kemper Profiler and Line 6 Helix rackmount processors and foot controllers. 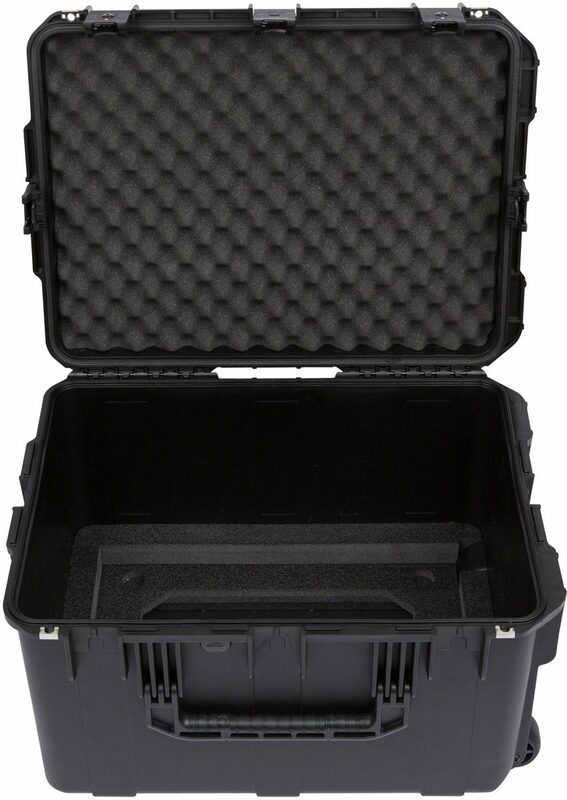 The top tray features robust ABS plastic and high density foam, with precut holes to perfectly match the foot controller feet and prevent movement or shifting within the case. 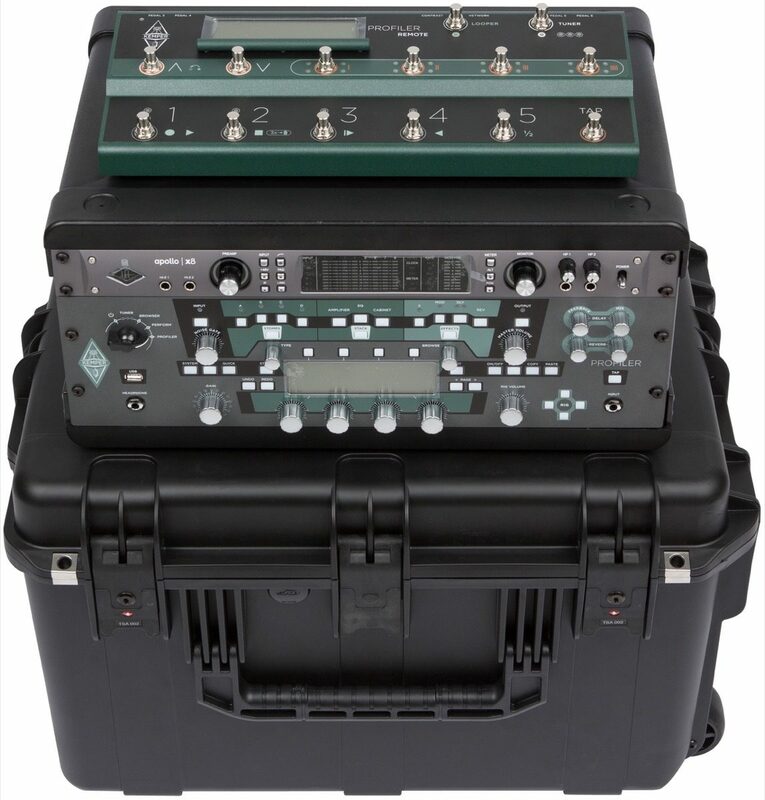 Below the top tray is a 4U injection molded rack frame that can hold the guitar processor with one additional space for a power supply, recording interface, or other equipment. Rear rack rails also provide options to mount other equipment or pass through connections. 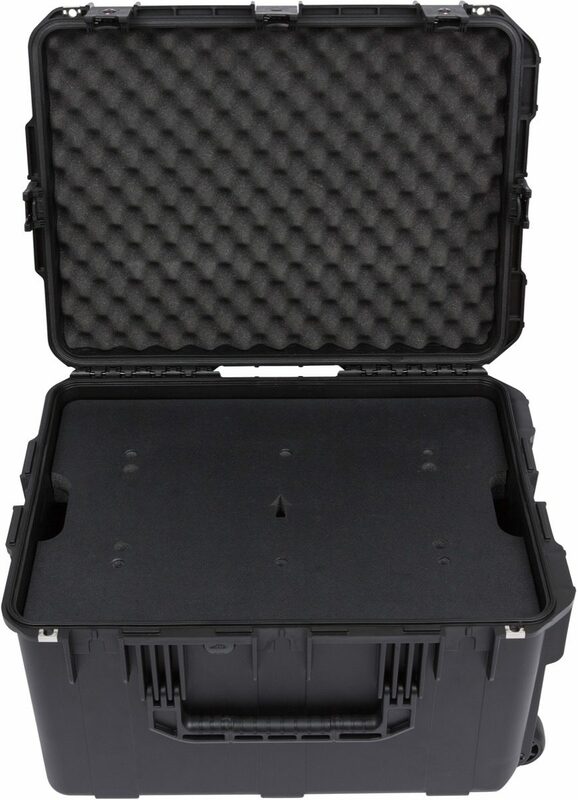 This case also comes standard with a pull out handle and wheels for convenient transport.